Ever since my 16-year-old self fortuitously stumbled upon Almost Famous while clicking through channels, I’ve been on an eternal quest to look like Kate Hudson’s Penny Lane. There was something about her that struck my young and impressionable mind. I don’t know if it was her cool textured hair, insane vintage wardrobe, or breezy, unaffected attitude. Probably a mix of all three. Whatever it was, it inspired me to buy a pair of corduroy pants and a tube of glitter eyeliner with my babysitting money. Years later, I’m still not over the ’70s look (and either are the fashion and beauty worlds). So, as you can imagine, I was beyond excited when I came across the newest beauty trend: draping. Inspired by the height of the disco era, this beauty technique was created by Way Bandy, the industry’s first celebrity makeup artist. Decades ago, he worked with the likes of Farah Fawcett, Lauren Hutton, and Jerry Hall. So what is draping, exactly? It's similar to contouring in that it exaggerates curves and angles of the face to enhance your natural features. But instead of needing a bevy of new contour sticks and palettes, all you need is blush. And thanks to Marc Jacobs, it’s back in the beauty spotlight. 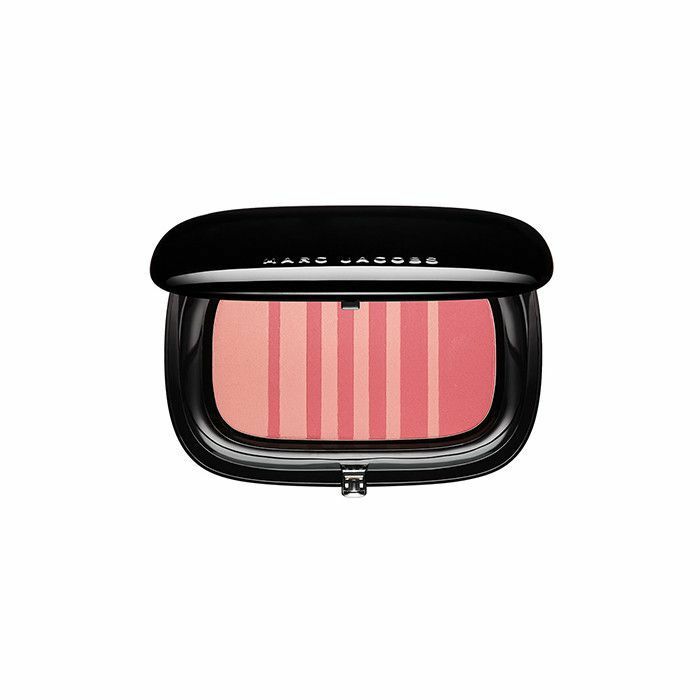 According to Marc Jacobs Beauty Global Makeup Artist Gilbert Soliz, there are four ways to drape, and I tried each one using the brand’s Air Blush Soft Glow Duos. Some made me feel like an honorary member of the bygone era; others… not so much. Want to learn how to create the flushed, lively complexion of a disco-era dancing queen? Right this way. The lifted look is all about heightening the contours of your face, making your cheekbones appear raised and pronounced. For a peachy bronze glow, swipe Marc Jacobs Air Blush Soft Glow Duo in Lines & Last Night along the crest of your cheekbones. Blend up and out to ensure it stays natural. Then run a small amount of blush along your jawbone for extra chisel. Even before swiping on the blush, I knew this one would be my favorite draping technique. I have naturally low-sitting cheekbones that don't respond to even the best contour products and bronzers (sigh). So anything that promises to lift or define is a product I’m willing to try. Contouring with blush was also nice departure from the bronzed look I usually wear. It added an extra warmth and liveliness that my fatigued skin so often lacks. I wore this throughout my work day and later on into an evening of dinner and drinks, and felt foxy the whole time. This technique is especially catered to round-faced girls. Place the blush slightly below the apples of your cheeks and your face will suddenly appear more oval than round. While it seems counterintuitive to lower your cheekbones, doing so will actually lengthen the top half of your face, creating that perfect oval shape. Use the darker shade for this part. Then blend out with the lighter shade to create the perfect ombré look. Ombré blush is one of my few true loves. However, because my face is already extremely ovular, placing the blush slightly below my cheekbones added extra length that I didn’t need. I still wore it all day, as the rosy color gave me an enviable flush, but since then, I’ve only reused the shade, not the technique. I love the look; it’s just better suited to rounder faces. This look is best for those who want to add a plumper quality to their skin. The application requires you to swirl two shades together and buff them into the apples of your cheeks. Pro tip: Smile when applying so you get the perfect placement. This technique will enhance the fullest parts of your face, adding youthful dimension. 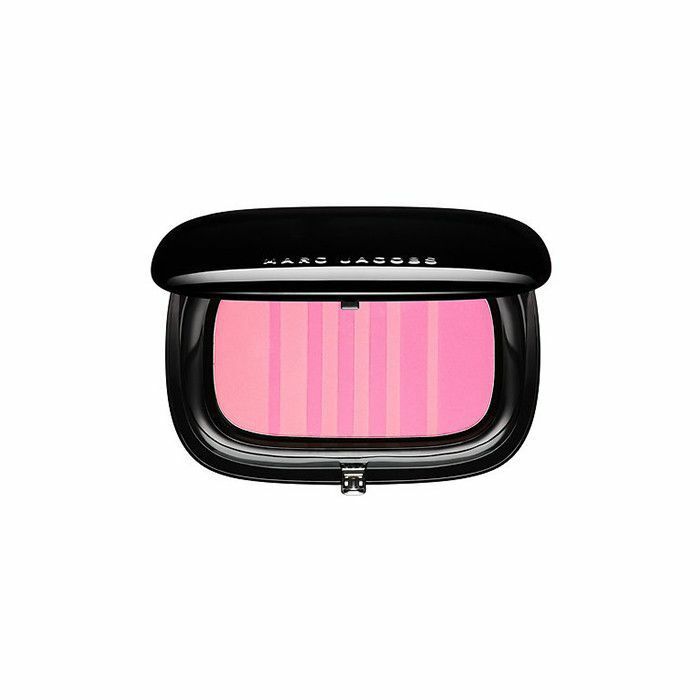 I used a buffing motion to apply the Barbie-pink shade Lush & Libido into my cheeks, which made my face look visibly plumped. Aside from lips, I never thought about plumping a facial feature before, but in this case, I loved it. Full pink cheeks radiate a certain youth and vivacity. I have worn this look many times since. For this dramatic draping technique, take whichever color you’d like and buff it above the brow into the temples, down the center of the nose, below the cheekbones, and down the side of the neck starting near the ear. 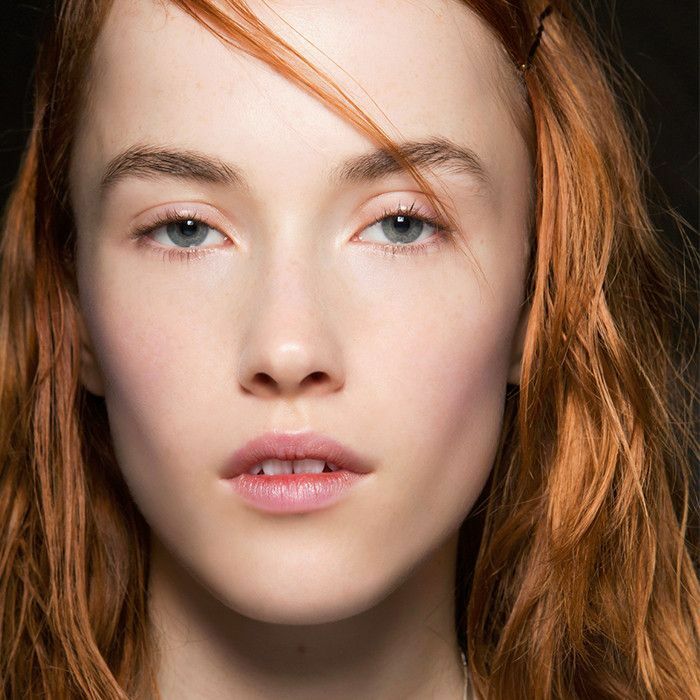 The blush should stay the focal point of the makeup, so keep the rest of the look au naturel. This full-powered glow will turn you into a verified ’70s diva. But the final verdict surprised me. The harsh, highly editorial look I imagined actually appeared subtle and warm IRL. Turns out I didn’t need the makeup wipes after all. I felt like I had finally reach the pinnacle of ’70s-inspired makeup. Pair this look with textured, lived-in hair and you may find yourself breaking out the bell-bottoms. Try this trend out for yourself, and snap us your favorite look @byrdiebeauty!